Another quick side project is done. 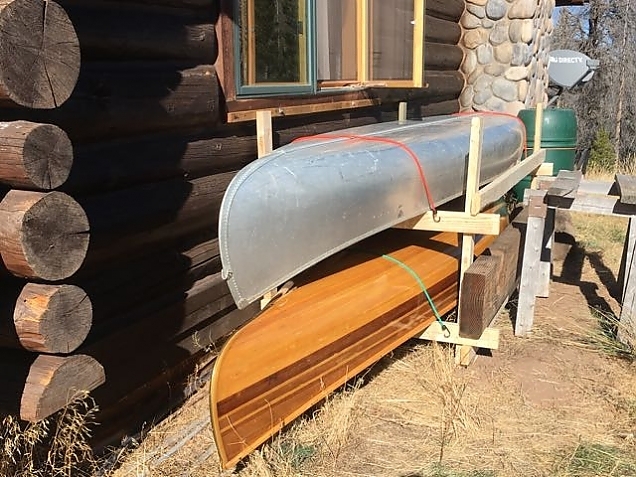 I built a rack for the canoes, secured to the east side of the cabin. There, they get the least exposure to wind and snow. Sure beats having them just lay on the ground. And, it eliminates the need to occasionally go find the aluminum canoe in the woods and drag it back home! Wait—how does the aluminum canoe wind up in the woods? Did I miss something? Do the bears like it?! Steve, the wind gets under it and blows it down the hill. So far, no bears in canoes.